Cochlear Celebration, one of the most awaited events for recipients and their families, has started. More than a thousand participants are expected to attend. Taking place February 16-19 at Disney’s Coronado Springs Resort in Florida, Celebration is an event dedicated to Cochlear Family members from all across America. Every other year, recipients, their families and hearing experts get together to share success stories and create new friendships. “The thing I love most about my job is our solid commitment to standing by our recipients in their hearing journey. It is a tremendous honor for me to meet so many of them in one place and I feel very privileged”, says Adi Nilson, Director of Marketing at Cochlear. The event includes educational sessions on the latest hearing technology and ways to maximize the hearing experience, as well as private parties and a wide range of entertainment activities. 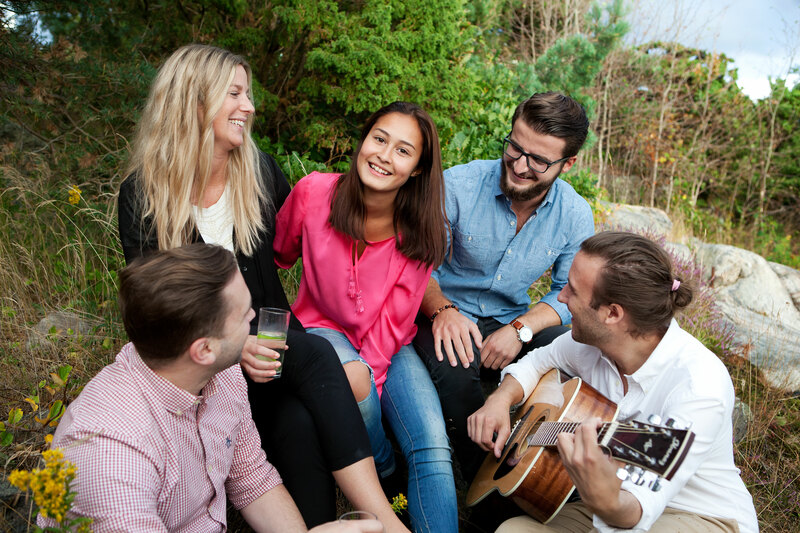 “I am looking forward to listening to personal experiences, and understanding how we can further develop our products”, says Johan Land, Senior Product Manager at Cochlear. For more information on Celebration, visit the Cochlear Celebration 2017. The World Hearing Day is an annual advocacy event that fosters dialogue on ear care and prevention of hearing problems. In line with this year’s theme, “Action for hearing loss: make a sound investment”, Cochlear celebrates the World Hearing Day with an international campaign. The importance of raising awareness on hearing impairment was first addressed in 2007 when the World Health Organization (WHO) and China Disabled Persons’ Federation (CDPF) partnered in an unprecedented initiative to voice the daily burden of some 360 million people affected by hearing disability. The World Hearing Day, formerly known as International Ear Care Day, resulted from the First International Conference on Prevention and Rehabilitation of Hearing Impairment, jointly hosted by WHO and CDPF. According to a 2012 WHO report, about 1 billion young people who are recreationally exposed to high sounds are at risk of developing long-term hearing problems. The same report points out that more than 60% of the childhood hearing loss cases can be prevented by taking specific measures. Coupled with the high incidence rate of hearing impairment in low and middle economies, these figures impose prompt action, and indicate a indicate a strong need to share knowledge and practices across territorial borders. Awareness campaigns are therefore necessary, not only for spreading valuable information, but also to inspire and encourage people to get actively involved in promoting hearing health. The Happiest Sound in the World is a social media campaign that aims at raising worldwide awareness on hearing health. People from Sydney to Sao Paulo and London to Los Angeles are invited to share their #HappiestSound with the whole world. Participation is really simple and only takes a matter of minutes. Anyone can just share their happiest sound through video, audio, photograph or even write about it and then post it on social media using the hashtag #HappiestSound. 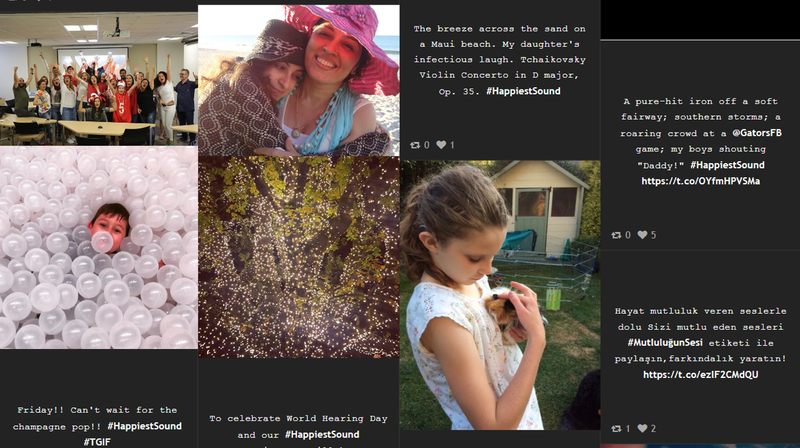 are invited to share the sounds that make them happiest by using the hashtag #happiestsound. The campaign runs through March 2, 2017, when the Happiest Sound in the World will be revealed. Visit happiestsound.com to see all happiest sounds, get information about posting, and submit your contact details if you participate in the campaign.